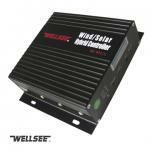 WELLSEE wind/solar hybrid lighting controller WS-WSC30 30A_Wind/Solar Hybrid Controller_Products_solar controller,charge controller,solar regulator,lighting controller,mppt controller are selling best on our website! 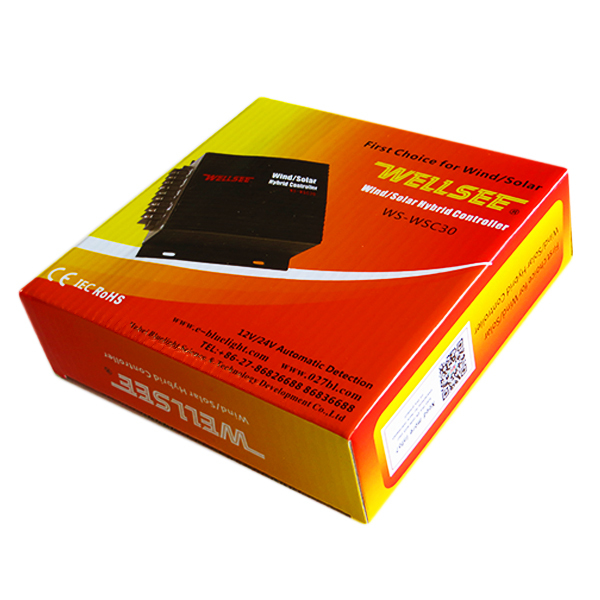 Wellsee Wind/Solar Hybrid light controller (Wellsee Wind/Solar Hybrid intelligent controller) WS-WSC series are new product designed and self-developed with advanced control circuit by Wuhan wellsee new energy industry co.,ltd. The new generation wellsee wind/solar hybrid intelligent light controller is different from other controllers, which is specially designed for wind/solar hybrid street light in the integration of wind power and solar power. This controller can reduce the single engery may cause the insufficient supply of electricity or unbalanced conditions by useing wind energy and solar energy resources to make power. It has light control+time control exact timing control function which can extactly control loads turn on/off time (Optional). Wellsee hybrid light controller not only effiiently convert the electricity made by wind turbine and solar panel and charge batteries, but also supply strong control functions. 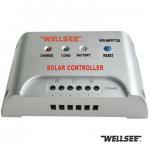 1.Turn on light at dusk and turn off light at dawn automatically according to light intensity. 4.Microprocessor intelligent control, exactly control. 5.Anti-surge protection,short-circuit protection and reversed polarity protection. 8.Adapting the pwm mode to unistall, release the extra electricity to unloader so that the battery is in the best state of charge all the way. 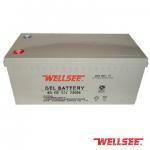 9.Adapting the way of limiting voltage and current to make sure the battery is in the best state of charge all the way. 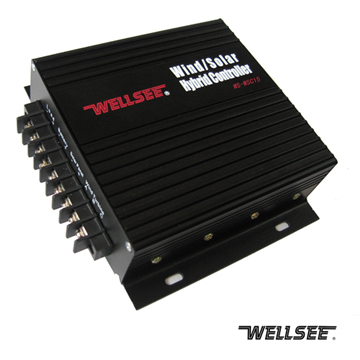 10.Recognize the wind turbine charging voltage and charging current exactly with safe and complete multiple wind turbine brake protection system. hybrid controller best even seen. 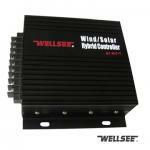 hybrid controller for wind solar system.